After five years of marriage, Gulzar Masih and his wife, a Catholic couple, adopted a baby girl from a local hospital with the help of a family friend. The girl was named Meerab. 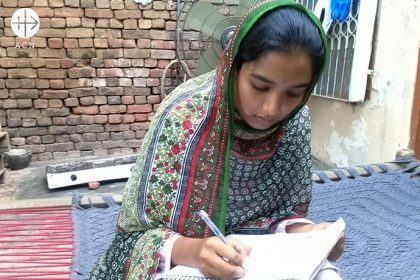 Living in Sargodha, Pakistan, Meerab, who is 19 today, talks of the difficult realities of her life and her goals for the future to the pontifical foundation Aid to the Church in Need. “My father was Gulzar Masih. My mother is Naasra Bibi. I have one brother, Shahryar Gulzar, who is eight. I belong to a Catholic family. My father worked for daily wages, building, and painting; he earned 200 Pakistani rupees per day, which equals about $2. But some days he was unable to get work, so we missed the occasional meal. When it came to providing the necessities, my father always faced difficulties, but we were thankful to God for his blessings. “One day, my father became very ill, and my mother took him to the hospital. The doctor diagnosed him with diabetes. We did not have the financial resources to arrange for proper treatment—as a result, my father died. Living in Sargodha, Pakistan, Meerab, who is 19 today. 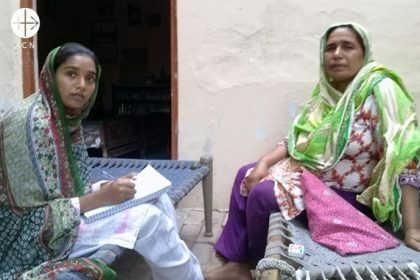 “After my father’s passing, my mother, though experiencing great sorrow and pain, found work as a maid to meet our domestic and educational needs. Family income was low and expenditures were high, which eventually led to the discontinuation of my studies. But my mother encouraged me not to lose my faith in God, saying He would show us the way. All night, I would think about my father and our family’s needs. So I decided to help my mother, whose health was not strong. She is often sick and has high blood pressure. “I told her that I would help her after school, that I would either join her at work or work on her behalf. One day, I went alone to work, and the owner of the home, about 40, asked me to make a cup of tea for him. When I went to serve him, he held my arm tightly and kissed me. I was so afraid to tell my mother; I thought that she would beat me. But when it happened again, I told my mother. I was no longer allowed to join her at work. I wondered if she faced the same harassment. “I always prayed to God, hoping that He would help us and show us the way. Some people visited our home and offered their support. I continued my studies at St. Ann’s Primary School, which is run by the Catholic Church. My brother was also in school at the time, but due to our financial circumstances, he left school to work as a building painter. 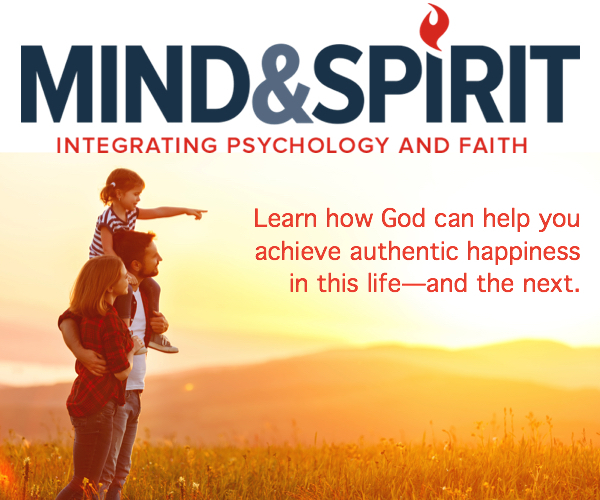 “When I was in the eighth class, the St. Vincent DePaul Society, run by the diocese, began to help with costs. The initial monthly stipend was 500 rupees, and after two years, it increased to 1000. Later on, I was admitted to the local High School, which is operated by a Catholic organization and is one of the best schools in our city. I am thankful to our principal, who waived all fees so I could continue my education without disturbance. In 2017, Aid to the Church in Need provided more than $900,000 in aid to the Church in Pakistan, which included support for seminarians and living expenses for women religious, as well as for a range of pastoral programs.